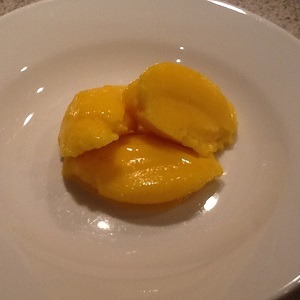 Try this fantastically quick and easy recipe for Mango Sorbet that is sweet, rich and tart! Can be made with or without an ice cream maker. Peel mangos cut mango fruit into pieces. Blend well until the mixture is well pureed and there are no lumps. If you do not have an ice cream maker.